Roy Shorter, AMS, and Alan “Joe” Doman, AMS, are accredited members of S.A.M.S.® a society that sets a tough entrance examination and a probationary time period before you can become a full member. It further requires as a condition of continuing membership that its surveyors gain continuing yearly educational points by attending courses, lectures, seminars, demonstrations, etc., ensuring that its members maintain their highly professional standards. A1✠ surveys are carried out to the mandatory standards promulgated by the United States Coast Guard (USCG), under the authority of title 46, Codes of Federal Regulations (CFR). 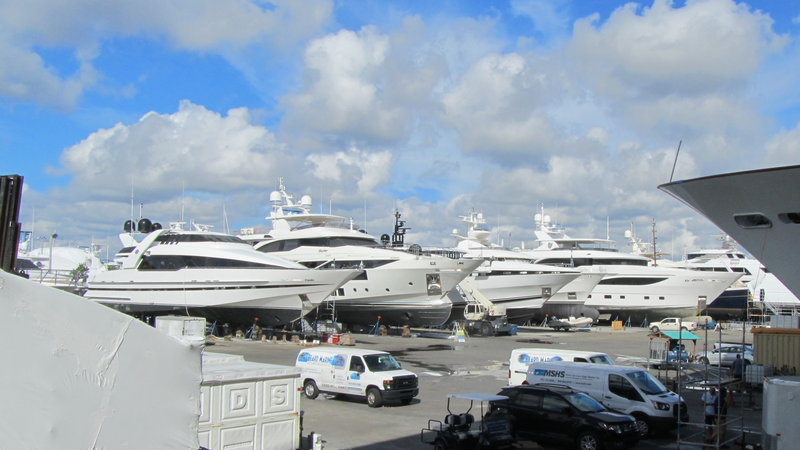 The voluntary standards and recommended practices developed by the American Boat & Yacht Council (ABYC) and the National Fire Protection Association. S. O. L. A. S. and M.S.A. safety requirement surveys and representation to the classification societies are available upon request. Second only to buying a home, buying a yacht will almost certainly be the largest purchase you will ever make. Because it is a serious financial commitment it almost inevitably involves the services of a Marine surveyor. There are many things you should know before choosing your surveyor. A survey will be required by your insurance company or financial institution should you be taking a mortgage on the boat, but even more importantly it’s for your safety. It will also give you an in depth knowledge of the boat you are buying. The first things you must know is surveyors are not licensed and there are no requirements for qualifications of any kind! Anybody can claim to be a Marine Surveyor! Based in Fort Lauderdale, Florida A1✠ Marine Surveyors have gone to extremes to be sure they are amongst the very best in the marine survey business. Our surveyors are experienced knowledgeable qualified professionals with engineering and boat building backgrounds and hold recognized professional qualifications and skills. Proficient Power and Sail real Blue Water sailors with thousands of sea miles to their credit. We have the knowledge and use the latest high tech equipment and tools necessary to carry out a thorough survey on your behalf.